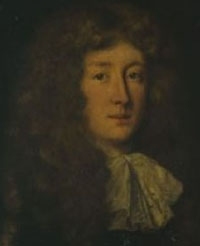 Forde Grey, 1st Earl of Tankerville was born in 1655.1 He was the son of Ralph Grey, 2nd Baron Grey of Warke and Catherine Ford.1 He married Lady Mary Berkeley, daughter of George Berkeley, 1st Earl of Berkeley and Elizabeth Massingberd.2 He died in 1701. [S4438] Brian Bouchard, "re: Rooth Family," e-mail message to Darryl Roger LUNDY (101053), 21 January 2010. Hereinafter cited as "re: Rooth Family." [S15] George Edward Cokayne, editor, The Complete Baronetage, 5 volumes (no date (c. 1900); reprint, Gloucester, U.K.: Alan Sutton Publishing, 1983), volume V, page 223. Hereinafter cited as The Complete Baronetage. 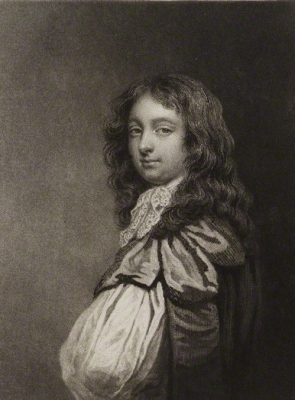 Child of Mary Arundell and Sir Henry Tichborne, 3rd Bt. 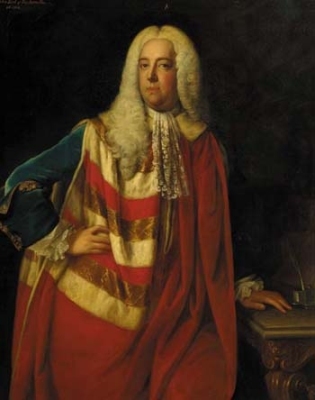 He gained the title of 3rd Baronet Tichborne. [S155] Peter Townend, editor, Burke's Peerage and Baronetage, 104th edition (London, U.K.: Burke's Peerage Ltd, 1967), page 2484. Hereinafter cited as Burke's Peerage, 104th ed. Her married name became Wallop. After her marriage, Lady Bridget Bennet was styled as Viscountess Lymington on 11 June 1720. [S6] G.E. Cokayne; with Vicary Gibbs, H.A. Doubleday, Geoffrey H. White, Duncan Warrand and Lord Howard de Walden, editors, The Complete Peerage of England, Scotland, Ireland, Great Britain and the United Kingdom, Extant, Extinct or Dormant, new ed., 13 volumes in 14 (1910-1959; reprint in 6 volumes, Gloucester, U.K.: Alan Sutton Publishing, 2000), volume IV, page 532. Hereinafter cited as The Complete Peerage. [S6] Cokayne, and others, The Complete Peerage, volume II, page 489. [S6] Cokayne, and others, The Complete Peerage, volume I, page 376. [S4372] Leith Landauer, "re: Daly Family," e-mail message to Darryl Roger LUNDY (101053), 13 December 2009. Hereinafter cited as "re: Daly Family." [S21] L. G. Pine, The New Extinct Peerage 1884-1971: Containing Extinct, Abeyant, Dormant and Suspended Peerages With Genealogies and Arms (London, U.K.: Heraldry Today, 1972), page 57. Hereinafter cited as The New Extinct Peerage. 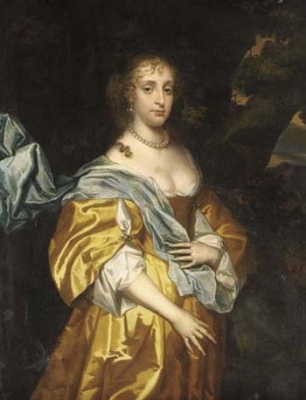 From 4 December 1666, her married name became Hay. 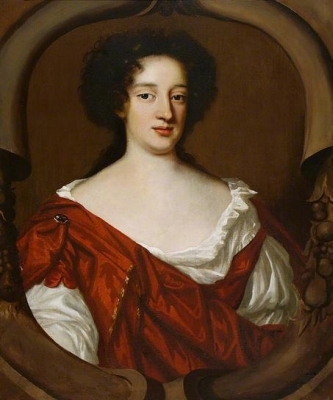 After her marriage, Lady Mary Maitland was styled as Marchioness of Tweeddale on 11 August 1697.